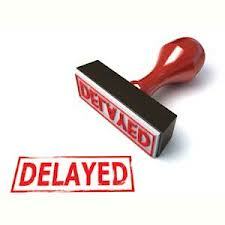 The Affordable Care Act (ACA) employer mandate-employer penalty, originally set to begin in 2014, will be delayed until 2015. The Affordable Care Act "employer mandate" is a requirement that all businesses with over 50 full-time equivalent (FTE) employees provide health insurance for their full-time employees, or pay a per month "Employer Shared Responsibility Payment" on their federal tax return. The employer mandate is officially part of the Employer Shared Responsibility provision. Under the Affordable Care Act, the federal government, state governments, insurers, employers and individuals are given shared responsibility to reform and improve the availability, quality and affordability of health insurance coverage in the United States. Employers with 100 or more full time employees (including FTEs) in 2014 are subject to the mandate in 2015. However, the 2015 penalty calculation is based on excepting the first 80 full-time employees instead of the statutory 30 full-time employee exception. The exception will drop to 30 in 2016 unless there is a further change in the law. Related to hospice agencies, unpaid volunteers will not be counted in determining the application and impact of the ACA employer mandate. The final rule can be found at: http://www.ofr.gov/OFRUpload/OFRData/2014-03082_PI.pdf.